Last week, Chris Brogan wrote a thought provoking blog post in which he suggested a looming social media crash, resulting from a deluge of online connections and the subsequent contacts that we receive as a result of our online connections. He posited that it was becoming increasingly difficult to maintain online relationships and adequately respond to people's requests. He used his experience as an example and explained the impossibility of interacting in a meaningful way with people as your social media presence grows. Granted, Chris has a social media presence on steroids compared to most everyone else, myself included. But even with an online presence like mine, which pales in comparison to Chris', I'm finding it nearly impossible to provide meaningful responses these days, even when I want to. And, truth be told, that fact frustrates me beyond belief as I find that I'm failing to provide responses in a timely or useful fashion and am offending people that I truly like and respect (and those whom I've never met) in the process. Let's use the past week as an example, keeping in mind that I'm swamped with work right now (and thus put most of my blogs on hold for the summer), am facing two major book deadlines in mid-September along with my regular workload, and traveled to Atlanta the latter half of last week to give a presentation on social media for lawyers. In other words, I'm more than busy and am struggling to keep up. Multiple inquiries via phone from people seeking an attorney that I referred to other local attorneys who handle the types of law involved. Suffice to say, I am truly overwhelmed and find myself increasingly unable to respond to the multiple requests for my advice, time and energy (all requested on a volunteer basis). I try my best to respond, but sometimes either fail to do so in a timely manner or dash off a quick, shallow reply. If I've responded inadequately to one of your inquiries in recent months, and we're "friends" via social media or otherwise, I apologize. If you had a legitimate request and I've not yet responded to it, I likewise apologize. My lack of response is likely because I don't have a quick answer, but truly do want to address your inquiry and give it the attention that it deserves, so I've tabled it for a few days. If you're a complete stranger with a totally random request that I've ignored, what did you expect? Go bother someone else. 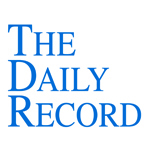 This week's Daily Record column is entitled "Blogging for lawyers has changed." When I first wrote about blogging for lawyers in 2006, the benefits were clear-cut. At the time, publishing a legal blog was one of the only ways to create an effective online presence, and was well worth the effort expended to maintain a blog. Starting a legal blog was an easy way for an attorney to showcase his or her legal expertise while quickly increasing a law firm’s search engine optimization. Blogs also were one of the best ways to meet and interact with other lawyers on a national scale. Professional networking was a breeze: There weren’t many lawyers who blogged, and those who did blog quickly became familiar with one another. Likewise, it wasn’t particularly difficult to establish a name as a legal blogger since there wasn’t much competition. Choosing a focus for a blog also was a simple proposition. At the time, only a few legal blogs existed, and finding an unexplored niche you enjoyed and furthered the goals of your law practice rarely was difficult. Things have changed a bit since then, but a few things remain the same. First, well-written lawyer blogs continue to be a good way to increase a law firm’s SEO, since search engines rank attorney websites higher that are updated frequently, repeatedly use key words relevant to a lawyer’s areas of practice and have many inbound links from other websites. Second, blogs continue to be a good way to showcase an attorney’s writing skills and expertise. A well-written, interesting blog post on a timely topic shows a potential client you’re capable and up to date on changes in your areas of practice. 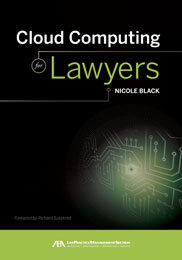 Bloggers who are generous in linking to other attorneys’ blogs and engaging in conversations with other practitioners on their blogs find that blogging remains an effective way to connect with lawyers in their practice areas, although social media sites largely have replaced that particular function of blogging. Since 2006, however, many things have changed, reducing the payoffs of legal blogging. Competition for SEO is fierce today. Newly created blogs have a much more difficult time breaking into the search engine rank- ings, especially in areas of law such as personal injury, since there literally are hundreds upon hundreds of personal injurybloggers, each repeatedly using the same key words and writing about the exact same topics, over and over. a niche also is far more difficult. Chances are, a number of other lawyers already are blogging about the very topic on which you wish to write. Differentiating yourself from the pack can be difficult — especially when, like many lawyers, you would prefer to simply offer an update on changes in the law or summarize new cases, rather than offer your opinion on a divisive topic. Professional networking via a legal blog also is less effective in 2010. It used to be that blogs and listservs were some of the only ways in which to meet and inter- act with lawyers in other parts of the country. Now that tech-savvy lawyers are flocking to social media sites in droves, blogs no longer are the most effective way to connect with other lawyers. The good news is, legal blogging is not dead. It’s simply changing, in large part due to the influence of social media. Social media sites have replaced some of the functions of blogging, since many such sites are more effective at achieving some of the benefits blogging used to offer, such as professional networking. On the flip side, social media sites provide newfound and very effective forums for promoting blog posts. I’ll discuss this phenomenon further in a future column and explain how social media can be used to promote your law firm’s blog and your law practice simultaneously. In the mean- time, rest assured that while social media have changed the nature of law blogs, legal blogging still can be worthwhile endeavor.